Welcome to UK’s best digital photo printing company, Superchrome that offers a wide array of printing options in any desirable size and shape, printed on a variety of substrates. We provide photo print on canvas that features remarkable picture quality and clarity, comparable with the original artwork or photos. Our client satisfaction is based on the best digital photo print solutions rendered quickly anywhere in the world with minimal turnaround times. Superchrome is also exceptional in the area of other photographic services such as photo enlarging, scanning, reprinting, photo stretching and framing. Our photo print on canvas is in great demand among our clients that include artists, photographers, galleries, museums, offices, schools, marketing agencies, retail groups and interior designers. Here, we specialize in printing large format digital photo prints ideal for canvas posters, banners, display boards, and more. 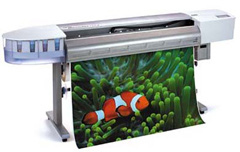 Whether digital camera photos, computer-generated graphic files or traditional photographs, we can print any of these onto canvas with full color resolution, or as black and white photos. Printed using 100 % genuine artist grade UV coated cotton canvas, pigment-based archival inks and 6-color printing process, Superchrome canvas photo prints are unfading, and long-lasting. The beautiful prints are ultimately finished with flexible laminate, hand-stretched and custom framed for added durability. We ensure that the print doesn’t suffer from scratches and splashes and that the corners do not crack or fade. You can have a choice of photo print on canvas from our online gallery. We work with a variety of canvas like matte decor canvas, artist canvas, satin stretch canvas, simulated canvas, premium canvas, and cotton-polyester blended canvas. We also provide multi-canvas prints. Send your photos to us in any format; we can print your favorite masterpiece onto amazing canvas artworks without losing its quality and feel. Contact us soon to place your orders by phone or e-mail. Our prints are delivered bubble wrapped if stretched and sent by Royal Mail. Contact us for quotes. We assure a fast turn over time of just two to three days. Our high quality photo prints on canvas are very competitively priced.